When a packed commuter train runs over a body on a stretch of track known to locals as “Suicide Mile,” it soon transpires that the man was a victim of a calculated murder. With a backlog of cold cases to investigate and while attempting to uncover who is behind a professional vendetta against her, Kay must keep one step ahead of both the killer and her own adversaries. 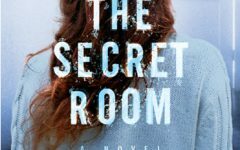 When a second murder takes place within a week of the first, she realizes the killer’s timetable has changed, and she’s running out of time to stop him. 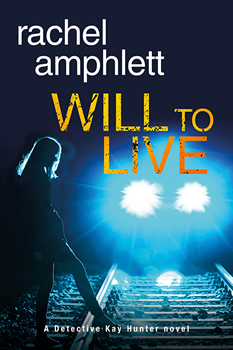 WILL TO LIVE is the second book in a new crime thriller series featuring Kay Hunter—a detective with a hidden past and an uncertain future. An adrenaline rush as Detective Kay Hunter tries to outwit a serial killer while at the same time outwitting a personal vendetta. Unlike many fictional detectives, Kay Hunter has a solid home life—but her professional career is in tatters, and she will do anything to salvage her reputation. This time, her actions impact the tight-knit investigative team she works with—and puts one of her colleague’s lives in danger. Due to the amount of research involved with regard to the (sadly all to common) deaths on railways in the U.K., it was necessary to research some very dark subjects. This led to having to find a balance between conveying tragedy to readers without detracting from the pace of the plot. Kay Hunter’s investigation into who has set her up and whose actions led to her Internal Affairs investigation gathers speed and has a devastating impact upon one member of her team. Michael Connelly, Robert Crais and Peter James in particular because of the need to create a fast-paced read while still ensuring I have my facts right. I love learning, and these writers are masters of the art. 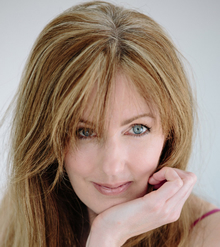 Originally from the U.K. and currently based in Brisbane, Australia, Rachel’s novels appeal to a worldwide audience, and have been compared to Robert Ludlum, Lee Child, and Michael Crichton.